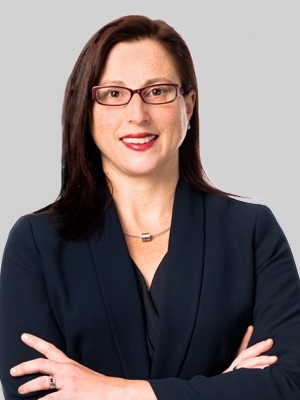 Catherine T. Barbieri, a partner in the Philadelphia office of Fox Rothschild LLP, has been named by The Legal Intelligencer and Pennsylvania Law Weekly as one of 30 Pennsylvania "Lawyers on the Fast Track" for 2010. The publications' editors, along with a panel of judges, selected Barbieri as one of the future leaders of the state's legal community from among the nominations received. Full profiles of this year's honorees will be included in a Sept. 28 supplement to The Legal Intelligencer. The winners will also be honored at an Oct. 28 dinner at the Union League of Philadelphia. Barbieri is a management-side employment litigator who represents clients in the full range of employment matters, including discrimination suits (ADAAA, ADEA, FMLA, Title VII, Section 1981); wrongful termination suits; restrictive covenant litigation; Sarbanes-Oxley Act discrimination complaints; wage and hour matters; counseling and litigation avoidance; regulatory compliance (ADAAA, ADEA, COBRA, FLSA, FMLA, HIPAA, OSHA); and reductions-in-force. In addition, Barbieri counsels colleges and universities regarding student disability and harassment issues, and represents institutions of higher learning in discrimination litigation. Barbieri serves as the firm's Hiring Partner and is the chair of the Recruitment Committee and a member of the firm's Diversity Committee. She currently serves as chair of the Board of Trustees of the Women's Law Project. Barbieri is interviewed about, and is a frequent lecturer at continuing education seminars for human resource professionals and accountants on, topics such as accommodation issues under the ADA, managing leave under the FMLA and responding to harassment complaints. Barbieri earned her J.D. from the University of Pennsylvania Law School in 1996, where she was editor-in-chief of the Comparative Labor Law Journal and the recipient of the Herman Lazarus Prize for Labor and Employment Law. She earned her B.A. in 1993 from the University of Delaware, where she was Phi Beta Kappa.